Is DTE Energy Co (NYSE:DTE) a good investment right now? We check hedge fund and billionaire investor sentiment before delving into hours of research. Hedge funds spend millions of dollars on Ivy League graduates, expert networks, and get tips from industry insiders. They fail miserably sometimes but historically their consensus stock picks outperformed the market after adjusting for known risk factors. DTE Energy Co (NYSE:DTE) shareholders have witnessed an increase in activity from the world’s largest hedge funds of late. There were 20 funds tracked by Insider Monkey long the stock at the end of September, compared to 15 funds a quarter earlier. However, the level and the change in hedge fund popularity aren’t the only variables you need to analyze to decipher hedge funds’ perspectives. A stock may witness a boost in popularity but it may still be less popular than similarly priced stocks. That’s why at the end of this article we will examine companies such as The J.M. Smucker Company (NYSE:SJM), Sasol Limited (ADR) (NYSE:SSL), and Tata Motors Limited (ADR) (NYSE:TTM) to gather more data points. Now, we’re going to take a peek at the new action encompassing DTE Energy Co (NYSE:DTE). 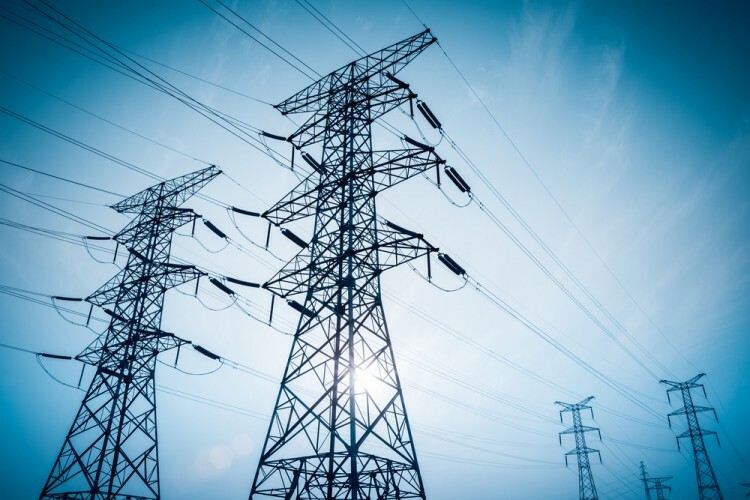 How have hedgies been trading DTE Energy Co (NYSE:DTE)? As stated earlier, 20 hedge funds tracked by Insider Monkey were bullish on DTE Energy at the end of September, up by 33% from the previous quarter. 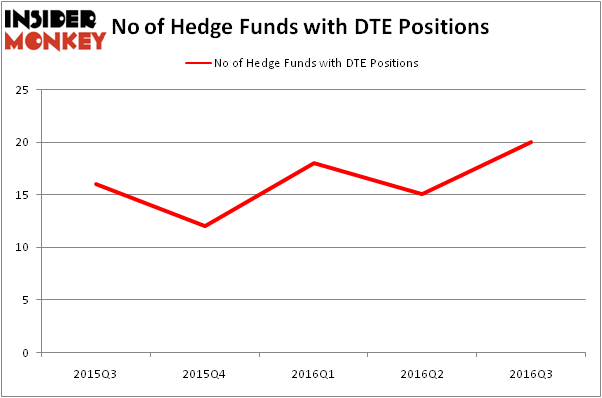 Below, you can check out the change in hedge fund sentiment towards DTE over the last five quarters. With hedgies’ capital changing hands, there exists an “upper tier” of notable hedge fund managers who were boosting their stakes significantly (or already accumulated large positions). According to Insider Monkey’s hedge fund database, AQR Capital Management, led by Cliff Asness, holds the biggest position in DTE Energy Co (NYSE:DTE). AQR Capital Management has a $180.9 million position in the stock, comprising 0.3% of its 13F portfolio. The second largest stake is held by Jim Simons’ Renaissance Technologies, which holds a $105.2 million position; the fund has 0.2% of its 13F portfolio invested in the stock. Remaining peers with similar optimism contain Phill Gross and Robert Atchinson’s Adage Capital Management and Dmitry Balyasny’s Balyasny Asset Management. We should note that none of these hedge funds are among our list of the 100 best performing hedge funds which is based on the performance of their 13F long positions in non-microcap stocks.